Charles Spurgeon, and others after him, have confidently proclaimed that Calvinism is actually the gospel. When this is said, what is meant by “Calvinism,” of course, is the TULIP, aka the 5 points of Calvinism: Total Depravity, Unconditional Election, Limited Atonement, Irresistible Grace, and Perseverance of the Saints. According to those who make this claim, one cannot preach the gospel truly and accurately unless these truths are also communicated. According to this unusual, innovative view, if you don’t talk about total depravity, unconditional election, and/or the other points of the TULIP when communicating the gospel, then you haven’t really preached the gospel. At this time, I am reexamining these 5 points—in particular I have grave doubts about Limited Atonement—but even when I accepted them all without question, this kind of dogmatic statement never sat right with me. Nowhere in the New Testament (NT) is the TULIP ever equated to the gospel message. For example, in the accounts of gospel preaching that are recorded in the NT, the apostles never spent time explaining these doctrines of grace. I can almost hear the objection that will immediately come from those who disagree: “You’re wrong! Paul explained Unconditional Election in great detail in Ephesians 1.” Yes, he did. There is just one problem with this objection, though: He explained these things to established churches, not to people on his missionary journeys to whom he first preached the gospel. There is a vast difference between these two activities. To preach the gospel to people who have never heard it is one thing; to provide pastoral counsel and instruction to those who are already Christians is quite another. At one point I took an online course in systematic theology at a Reformed seminary. I distinctly recall Joel Beeke warning against interpreting the Scriptures to fit our system of theology. 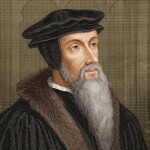 To illustrate this error, he recalled a time when a sermon was preached (either by him or someone he knew) on the basis of a biblical text, and afterward one of his listeners objected by saying something to this effect: “Too much free will in there.” The man who objected in this way was evaluating a statement about a biblical text on the basis of a theological system he held near and dear. In other words, he was subjecting the biblical text to a theological system, not the other way around. Ever since hearing that, I have been mindful of avoiding that pitfall because it equates a man-made system with an indispensable message of the Bible, conflating the biblical text with the system. Any responsible Bible interpreter will think twice about doing such a thing. Before anyone objects by saying that Calvinism is not man-made but is biblical, allow me to explain my meaning. I am not saying that all the doctrines are man-made but rather that the system is. Doctrine and system are not necessarily the same because the latter is a human attempt to interpret the former and consolidate it into a harmonious, consistent system of thought. It’s vital to note that Paul makes it a point to say that he actually received the gospel he describes. This means that the description that immediately follows has divine origin. It is the true, authoritative gospel, and even a quick reading of the apostle’s description shows clearly that it does not even hint at the TULIP. These facts alone should give anyone who claims that Calvinism is the gospel serious misgivings. When someone says that the doctrines of grace are the gospel, but those doctrines of grace are not even hinted at in a biblical, apostolic description of the gospel, one has to wonder if those who proclaim such dogmatic things are in danger of being accursed.